Albanian crime lords have seized control of underworld drug operations across the Midlands, it has been claimed. West Midlands police arrested 140 nationals from the eastern European country last year, 51 of whom were charged with drug offences. The National Crime Agency claimed that Albanian crime gangs had 'established a high-profile influence within UK organised crime and have considerable control across the UK drug trafficking market'. South east England was also flooded with high-grade cocaine by kingpin Klodjan Copja - who was jailed for 17 years after for serious drug offences - and his gang. 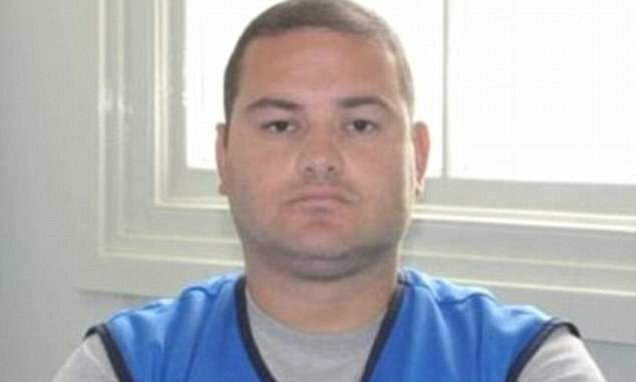 Copja, 31, and his ultra-violent network of fellow Albanians from Elbasan had imported as much as £150million of cocaine into the UK. One of his couriers was watched by police as he made weekly trips to a lay-by in Maidstone, Kent, to meet a lorry carrying imported cocaine from the continent. The courier would then supply the drug to organised crime groups in London, Birmingham, Leicester and Nottingham.